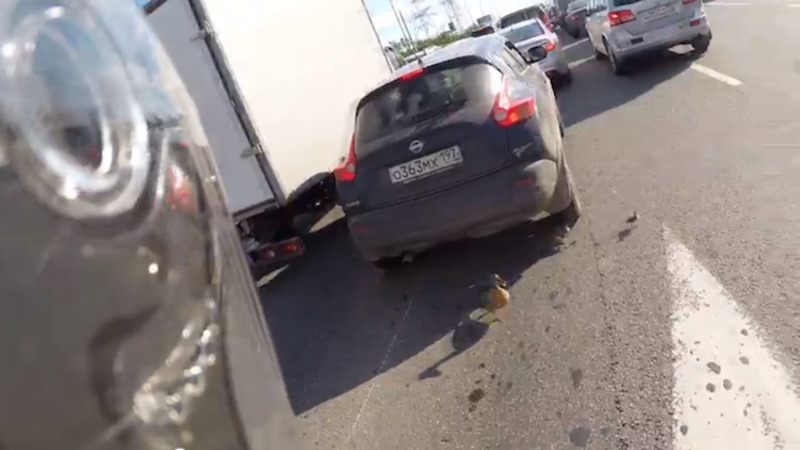 Russian motorcyclist stops traffic to help ducks cross a busy main road. 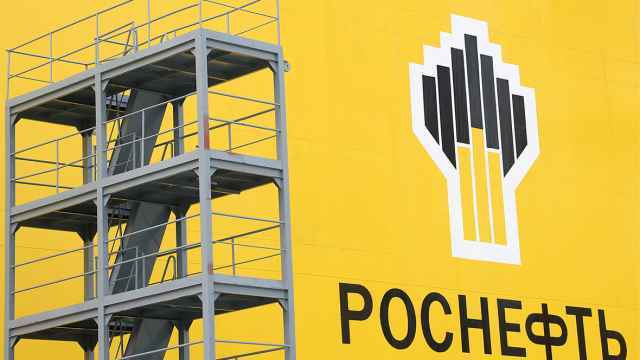 A Russian motorcyclist's tough exterior could not mask his soft heart as he went out of his way to shepherd a family of ducks to safety across a busy main road. In a video uploaded to YouTube titled "Saving Ducklings," the biker spots a mother and her three young ducklings trying to the traverse the congested road to no avail. He then weaves in and out of the surrounding vehicles, alerting drivers to their presence, as two other do-gooders help to stop the traffic flow. The biker then makes a U-turn, following the ducks to the other side of the road, before giving the smallest duckling a helping hand to climb onto the sidewalk. "It was somewhat scary that they could have been run over but thankfully everything turned out alright!" the biker said in comments posted on LiveJournal. Not everyone was equally enthusiastic about the animal lover's actions, however, with one commenter on YouTube dryly commenting: "Dangerous to everyone — not worth it."